Learn to make 4 units of wax tablet with natural ingredients. 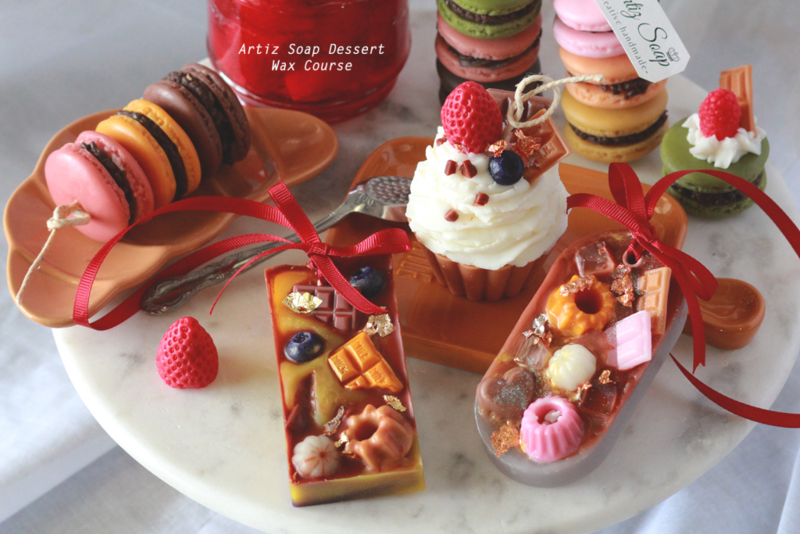 Learn to blend colours & making cute dessert ornaments. 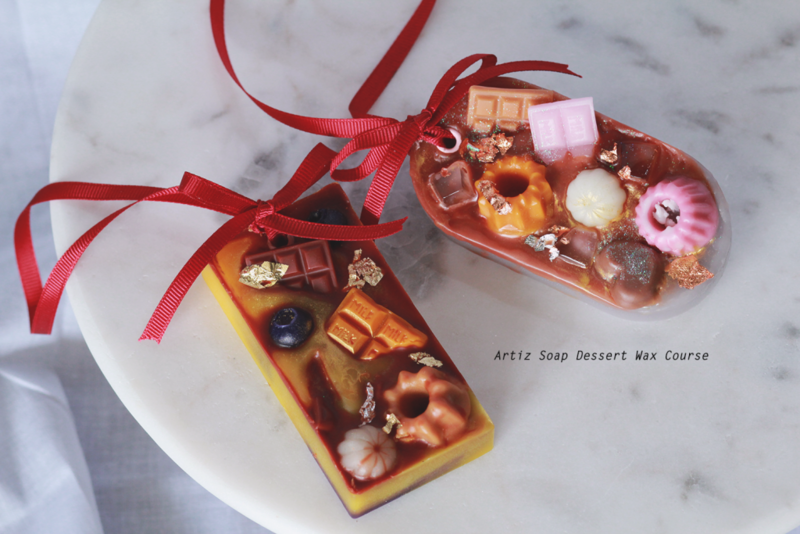 Learn to decorate the cute ornaments, jelly pudding & make chocolate melting effect on wax tablet. Learn to put your favourite essential oil blend or fragrance blend. Learn to tie ribbons & label the wax tablets. *Complimentary wax tablets mold x 1 for students who signup before January 2019.